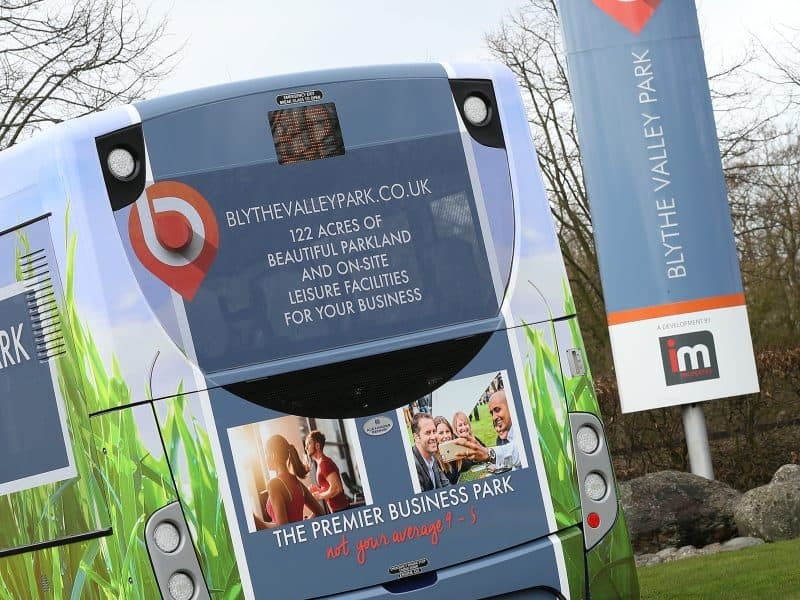 IM Properties, the owners of Blythe Valley Park in Solihull, are drawing more attention to its free shuttle bus service in a bid to encourage park employees to commute via public transport. As part of the awareness drive, the property company has invested in colourful, eye-catching liveries for the shuttle buses, ensuring they are visible throughout their journeys from Solihull and Birmingham International to, and around, Blythe Valley Park and aiding the mission to encourage public transport use. 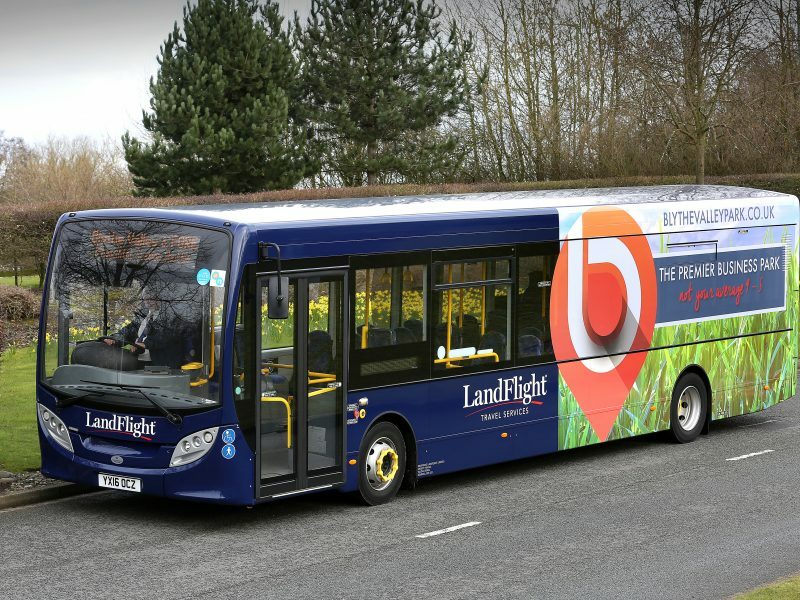 The service, which is operated by Solihull-based transport service provider LandFlight, runs 16 daily shuttles, each accommodating up to 60 people, between the park and the two rail stations. Rob Hemus, asset manager at IM Properties, said: ‘’Since acquiring Blythe Valley Park in 2014, IM Properties has been committed to developing business facilities and transport links at the park for our tenants. The 2M sq. ft park, which was bought by IM Properties in 2014, has seen much activity since the new ownership, including the development of its new on-site coffee house Java Lounge and the recent pre-lets to Prologis UK and Rybrook. 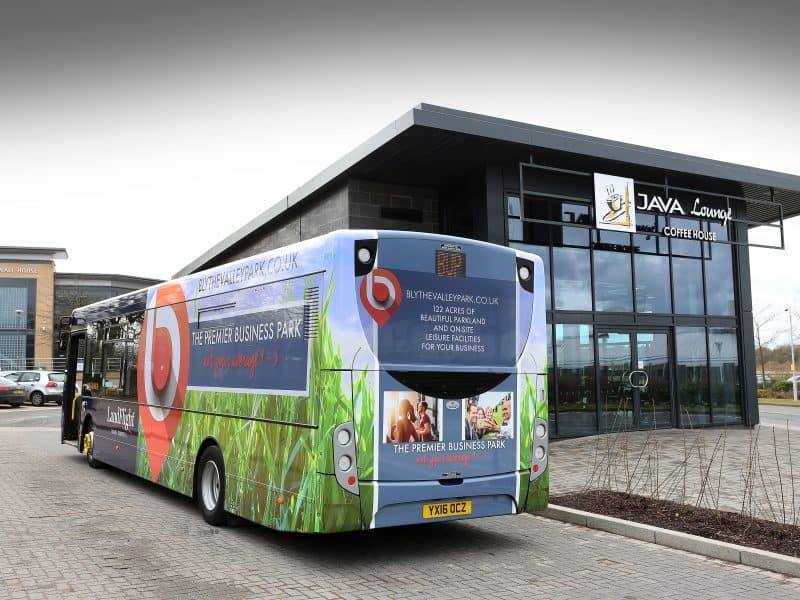 Deborah Fennell, Park Manager at Blythe Valley Park, said: “This bus service not only helps us reduce our collective carbon footprint but also ensures that parking demands continue to be met without impacting on the space and facilities we can offer businesses. LandFlight’s Blythe Valley shuttle service runs from 7:20am to 9am and 4:10pm to 6:35pm Monday to Friday, for full timetable details visit: www.blythevalleypark.co.uk/location/.